My projects-in-progress are usually stored in zippered plastic bags. 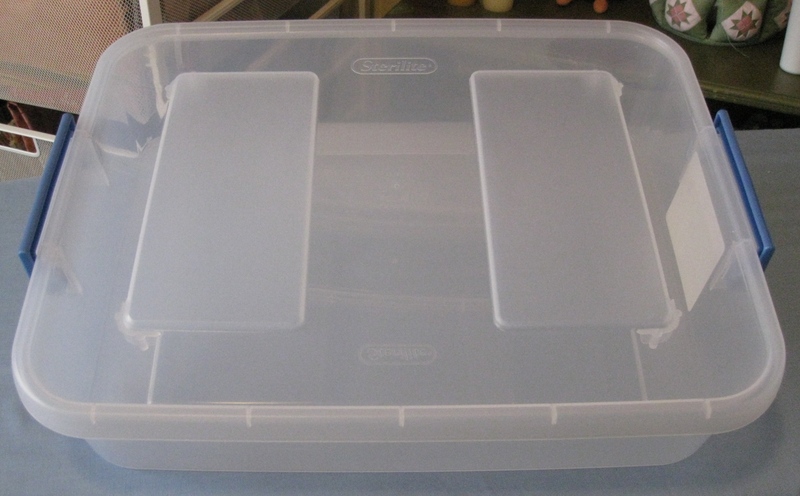 However, the other day I found these awesome plastic boxes at Walmart for under $4.00 a piece. A bargain! At 15" x 11 1/2" x 3 1/4", they are the right size for storing fabrics, patterns, and everything else for your project, as well as for temporary storage of sewing items you will be using during a retreat. I bought three of them, but am going back for more, as they stack well. Oh... my studio is getting so organized!